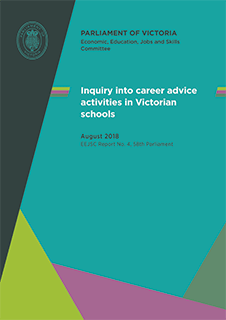 The Economic, Education, Jobs and Skills Committee of the Parliament of Victoria conducted an inquiry into career advice activities in Victorian schools, and handed down its report in late August 2018. CCLLEN made a submission to the Inquiry and representatives from the Victorian LLEN Network were called as witnesses to make a presentation and answer questions. In the Chair's foreward Nazih Elasmar MLC notes that "Common themes emerged in the evidence; students want tailored guidance earlier and more often, and school career practitioners want more time and resources to provide this guidance." The report makes 46 recommendations, which Mr Elasmar says "aim to elevate the profile of school career development, give career practitioners adequate time and resources to do their job, and improve students’ access to career development services and opportunities." We are pleased to see that many of CCLLEN's activities match the recommendations, particularly for career development workshops and activities, presentations, immersion days and support to careers practitioners in schools. We welcome other recommendations in the report for more funding and time allocations for career advice activities in schools. We look forward to the government's response to the report in coming months and we value the work that has gone into this comprehensive and insightful report. The report can be downloaded from the Committee's website here. The Wurreker Strategy for Koorie people in Vocational Education and Training supports students, the development of pathways and drives change to ensure VET training reflects Koorie community needs and aspirations. Wurreker is a key enabler for implementation of The Marrung Aboriginal Education Plan 2016-2026. The Victorian Aboriginal Education Association Incorporated (VAEAI), works as the principal partner with the Department of Education and Training, to achieve successful outcomes for Koorie learners under Marrung. The annual Wurreker Awards celebrate how high quality training can open up new training and employment directions for Koorie people. Through the Awards VAEAI recognises students, trainers, training providers and employers who have made an outstanding contribution to the continued success of Koorie people in their studies and careers. These individual and collective efforts provide an inspiring example of what can be achieved in our communities through innovation, collaboration and partnerships in post-compulsory education and training. The 2018 annual Wurreker awards night will be held at the Aborigines Advancement League, with over 200 invited guests attending, including the Minster for Higher Education and Skills the Hon. Gayle Tierney MP. The achievements of Koorie individuals and organisations working in the VET sector will be recognised, with winners across 10 award categories celebrated. The night will feature inspiring Aboriginal entertainment, and food catered by social enterprise Charcoal Lane restaurant. I CAN Network has come to Echuca. In May, Chris Varney, CEO I CAN Network and Kate Andrews, I CAN Murray Goulburn Manager, presented the I CAN talk to all secondary students at St Joseph’s College, Echuca College and Echuca Specialist School on the one day and also ran a combined staff Professional Development session after school and a Parent Information Night in the evening. The I CAN message has certainly got out there with 16 secondary students from the three schools participating in the Secondary Mentoring program which commenced in July. Already, after three sessions, the group has settled into the program, are mixing well and getting involved in the group activities. The program is held at Bendigo TAFE Echuca Campus and facilitated by Network Leader Sally Smith and Mentor Bec Cheep on a Thursday. Kyabram is in their second year of I CAN with the secondary mentoring program half way through their 15 week program facilitated by Kate Andrews and Will Baum at Kyabram Community and Learning Centre. This group includes some mentees from last year’s program who are completing Stage 2 of the structured program and are training to be become future mentors. ‘The Imagination Club’ for Grade 3-6 students, run by Kate Andrews and Sally Smith at Kyabram, is proving popular with the 16 students with a ‘big imagination’. All the mentoring programs follow a series of modules over 15 sessions to develop strong leadership and communication skills, teamwork, personal motivation and strengths, saying I CAN, planning and organising. 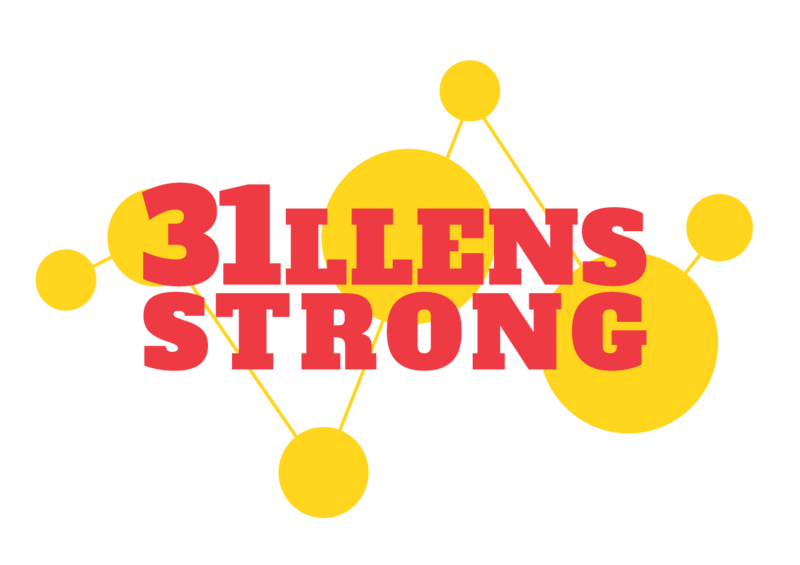 The outcomes for participants include an increase in self-esteem, social connection, optimism and self-confidence. I CAN Network has just celebrated its Fifth Birthday. Check out the website - https://icannetwork.com.au and facebook page ‘The I CAN Network’.